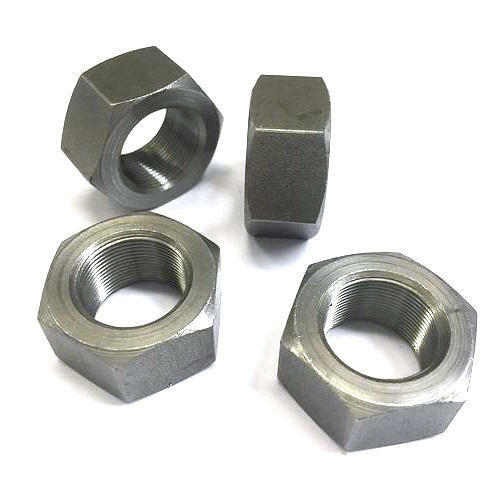 Backed by years of industry experience, we are engaged in offering a premium quality range of High Tensile Hex Nut. Established as Sole Proprietorship firm in the year 2012 at Jamnagar (Gujarat, India), we “Mahee Enterprise” are a renowned manufacturer of premium quality range of Bronze Bolt, Brass Bolt, SS Bolt, Brass Nut, SS Nut, Brass Washer, etc. We provide these products at reasonable prices and deliver these within the assured time-frame. Our products are engineered in micron accuracy according to customer’s specifications. Our client base is spread across various reputed companies in India and abroad. We have an indigenous production unit, which is equipped with sophisticated technology and hi-tech machines for yielding excellent results. We also export these products to Israel, Gulf Countries (Qatar, Saudi Arabia, Bahrain, Oman, etc. ), Bangladesh, Africa, Germany, Denmark, U.S., Canada, etc. Under the headship of “Mr. Vijay Chovatiya” (Proprietor), we have achieved a noteworthy position in the market. We have a variety of products which are manufactured from the raw material of M.S., S.S 316, 304, 202 grades, brass, silicon bronze, phosphorus bronze and copper etc. Our products are well appreciated by architects, engineers and consultants confirming the product durability. Mahee fixings help saving money, man power & time. Mahee Enterprise processes all its raw material supported with test reports. Mahee Enterprise is committed in delivery & quality and is well accredited world wide.